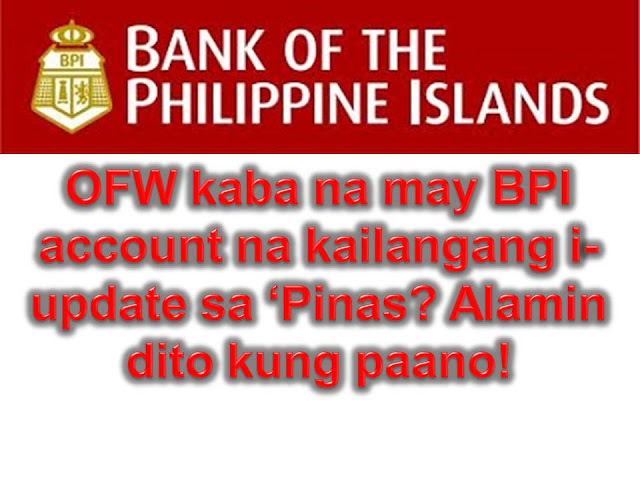 OFW with a BPI Account? Here are 10 easy steps to update your Customer Information Sheet (CIS) online. 2. In the search engine, type "Customer Information Sheet"
3. 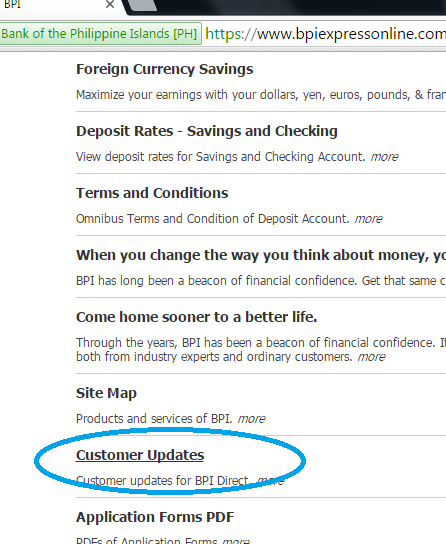 In the search result, find and click the "Customer Updates"
4. Then click the "Updated Customer Information Sheet"
7. Fill-up the form with your complete information. 10. Keep the original form and mail it to the address of BPI Branch where you maintain your account or mail it to your family member in the Philippines and ask them to submit it to the branch. 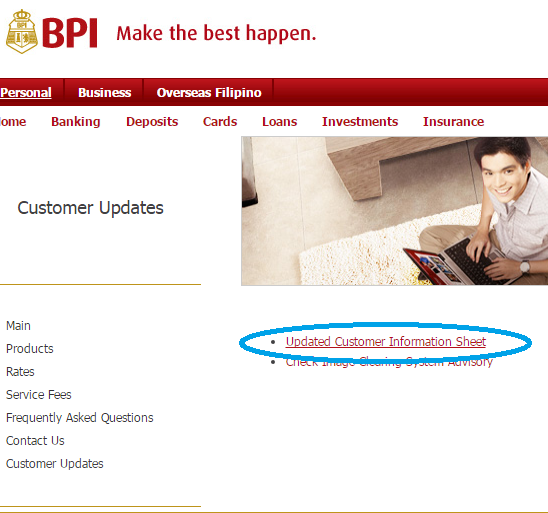 BPI already clarified that not all and only five percent of its clients need to update their account information by September 30. 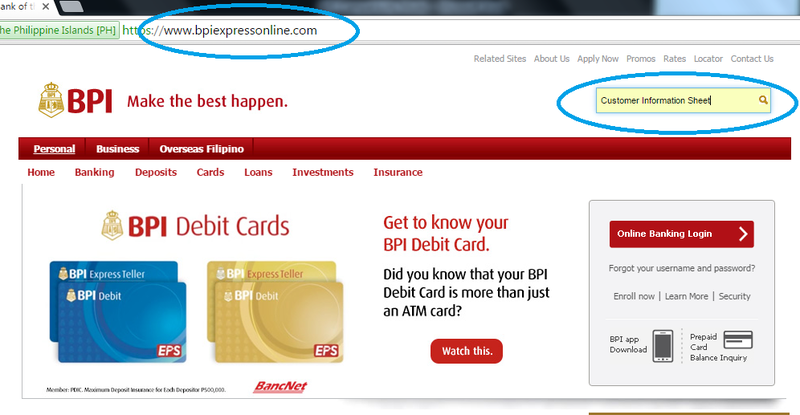 According to Randy Maranan, Chief Customer Experience Officer of BPI, that the requirement only applies to those who have received official communication from BPI. The bank said, 95 percent of its client can update their customer information sheet (CIS) anytime with no deadline.